A patient is given what they need to ensure the maximum efficacy of their surgery. On March 22, 2015, BPIH formally signed with the Japanese Aizawa Hospital, establishing the “Puhua Aizawa Rehabilitation Center.” This center allows Puhua the ability to offer treatment in accordance with the Japanese Ministry of Health’s rigorous guidelines and healthcare standards. The Puhua Aizawa Rehabilitation Center is equipped with state of the art equipment and utilizes only the most advanced methods and modalities prescribed by Rehabilitation science . The center is equipped with exercise therapy equipment, an occupational therapy area , a physical therapy treatment zone as well as a Pediatric Rehabilitation and Speech Therapy quad for children. The Puhua Aizawa Rehabilitation Center offers a wide range of treatments in varying disciplines, including medical physical therapy, modern rehabilitation sport therapy, occupational therapy, speech therapy, swallowing therapy and other rehabilitation evaluation and technology. The purpose of the Puhua Aizawa Rehabilitation Center is to work in close co-operation with the surgical team in order to ensure that after any procedure, a patient is given what they need to ensure the maximum efficacy of their surgery. At the core of this is a focus on comprehensive integrated programs that can greatly improve and consolidate the effects of the treatment that they have received, aiming to recover and improve functions that were taken by their illness. The ultimate goal of this department is to help patients achieve a measurable improvement in their ability to function independently and thus achieve a higher quality of life not just or them but also their families. Listed of Specialized Therapies are available to patients suffering from: cerebrovascular disease; spinal cord injury; cervical and lumbar diseases; sports injuries (such as fractures, muscle tissue damage, etc. ); arthritis of the shoulder; infantile cerebral palsy; multiple sclerosis; Parkinson’s Disease; amyotrophic lateral sclerosis (ALS) and neurologic diseases. Isao. Otsuka worked at the Aizawa Hospital’s Comprehensive Rehabilitation Center since 1999, where he specialized in the rehabilitation treatment of stroke patients following which he was appointed the Stroke Department’s Chief of Physical Therapy. In 2011 he was appointed as Assistant Hospital Director, in charge of the management of 130 hospital-based rehabilitation therapists. Dr. Isao Otsuka was also responsible for the organization, management and operation the Rehabilitation Department, as well as teaching the principles of stroke rehabilitation treatment in various Japanese hospitals. He was appointed as Chief Therapist of Aizawa Hospital in 2015. Theory and Technology of Stroke Physical Therapy (Medical View 2013). The Basic Technique: Skills of Bedside Physical Therapy (Wen Guangtang 2013). September 2013, the 8th Beijing international Rehabilitation BBS, “Current Condition of Acute Stroke Rehabilitation in Japan and ADL Analysis “China National Convention Center (CNCC), Beijing, China. She has been with BPIH since July 2011, and went to the Aizawa Hospital for a Clinical Fellowship in 2014. Swallowing and speech disorders caused by cerebral palsy and other diseases, dysfunction caused by cerebrovascular diseases and spinal cord injuries. 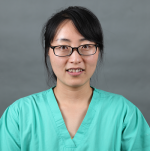 Therapist Niu graduated from Harbin Medical University, and then worked as a Rehabilitation Therapist in Harbin at the #242 Hospital. 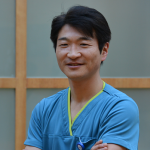 He has been with BPIH since July 2011, and went to Aizawa Hospital for a Clinical Fellowship in 2014. Physical Therapy for dysfunctions caused by cerebrovascular disease, spinal cord injury, osteoarthritis and other diseases.